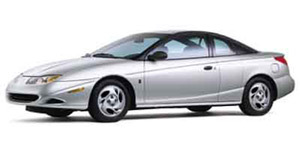 Saturn vehicles are a diverse bunch, ranging from the sporty Sky convertible to the durable Vue SUV. Their drivers are as diverse as they are. Whether your Saturn is purely for pleasure use or for enduring the pace of everyday life, you're Saturn is designed to last you 200K miles or more. Put your faith in the professional service and repair at Precision Automotive to make your vehicle last! Old or new, Precision Automotive services all makes and models of Saturn vehicles. All Saturn vehicles receive GM Original Equipment, ACDelco, or factory-approved aftermarket parts at every visit. Our ASE-Certified technicians are capable and ready to handle all the issues your Saturn vehicle may experience. From battery problems on your Vue Hybrid to steering issues on your Aura, we can handle it all with precision and ease. Your Saturn vehicle is serviced according to the maintenance schedule from the manufacturer. Trust Precision Automotive Service for all your Saturn maintenance needs. For out-of-this-world service for your Saturn vehicle, see us at Precision Automotive Service. Click on the appointment request form or call us today to schedule your appointment.